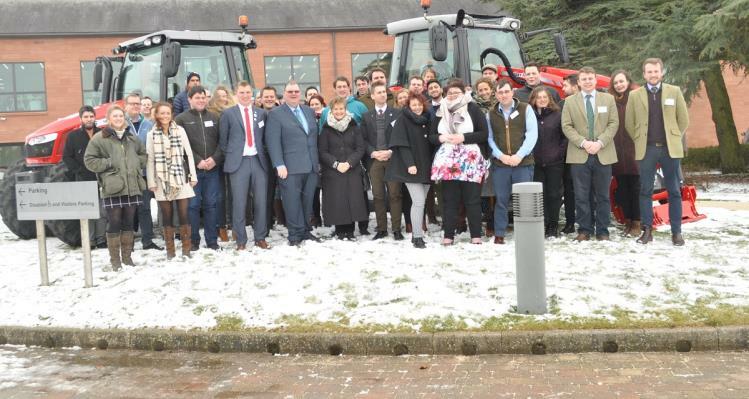 Young farmers from across Europe visited the UK in March to discuss the impact of potential trade and policy changes post-Brexit at a seminar organised by The National Federation of Young Farmers’ Clubs (NFYFC) and the NFU Next Generation Forum. The two-day event, supported by Massey Ferguson and the Crop Protection Association involved members of the European Council of Young Farmers (CEJA) debating and establishing the next generation’s position on Brexit. A special seminar called Brexit and Beyond gave YFC members the opportunity to discuss issues and concerns with young farmers from across Europe. The UK’s decision to leave the EU will have a major impact on young farmers and the session highlighted that 79% of those in attendance thought that free and frictionless trade is ‘very important’ to the future of the UK-EU agri-food sector. In an opening address from Tom Keen, NFU’s EU Exit and International Trade Adviser, he outlined that the NFU’s objective was simply to encourage competitive, profitable and progressive farm businesses that are central to a dynamic UK food chain. Topics discussed in working groups focused on trading, the environment, productivity and risk management. NFYFC Chairman Lynsey Martin said: “It was interesting to see that we have got pretty much the same set of worries, concerns and hopes surrounding Brexit. It’s great to talk to other European young farmers and see that we are all hoping that we will be trading in as free and frictionless way as possible. We’re still working towards the same goals in terms of the environment and agriculture in general. The main areas of concern raised by young farmers at the seminar were around a lack of stability and the impact on trading. 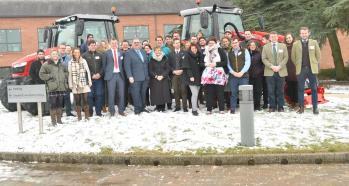 Supporters of the seminar Massey Ferguson also attended the session to hear the views of young farmers. CEJA is due to announce its position statement on Brexit very soon, following ratification from members of Macre Ne Feirme in Ireland as they were unable to make the seminar due to the bad weather. NFYFC and the NFU Next Generation Forum are in discussions with CEJA about the potential to be associate members of the organisation when the UK leaves the EU. WHAT DID YOUNG FARMERS SAY? “Brexit is going to be a challenge for everyone, especially young farmers. But we feel that working together and making positive sensible comments to politicians that put forward young farmers’ views is the way we need to work." “I’ve seen the data on what could happen to Dutch exports to the United Kingdom, and also the other way around. The Dutch economy is one of the ones that will be most affected in some scenarios, especially a hard Brexit. “From our perspective, one of the biggest concerns about Brexit is about trade and the possibility that the UK could leave the single market and customs union. So it will be really important to prevent any possibility for the United Kingdom to become a platform for trading goods and products coming from third countries not respecting EU quality and production standards. The UK should be able to maintain the same standards as the EU."